COLORADO SPRINGS, Colo. – Jan. 15, 2019 – Miracle Method Surface Refinishing, the nation’s largest professional bathroom and kitchen refinishing franchise, has been ranked No. 1 in its category on Entrepreneur Magazine’s Franchise 500® list. Overall, the franchise was ranked at No. 173 for the second year in a row. Entrepreneur Magazine’s annual Franchise 500® list ranks franchises based on criteria for financial strength, growth rate, stability, and overall size. The 2019 list is Entrepreneur’s 40th annual ranking of national franchises across all industries. 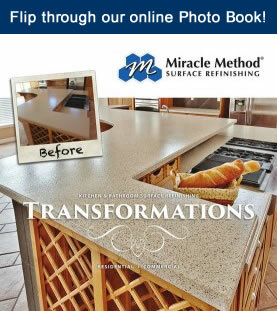 With 40 years of experience, Miracle Method is the fastest growing surface refinishing company in the industry. The company has shown a 73 percent sales increase over the last six years, and has recently been named to the Top 50 Franchise list for 2018 Franchisee Satisfaction Awards by Franchise Business Review. As a member of the International Franchise Association and participant of VetFran, Miracle Method has also been named to the Top 100 Franchise list for 2017 Veterans & Franchising by Franchise Business Review. Miracle Method offers a variety of bathroom and kitchen refinishing services and specializes in ceramic tile, bathtubs and surrounds, showers, countertops, and vanities and sinks. To learn about franchise opportunities, please visit miraclemethod.com/franchise or call 877-434-5096. 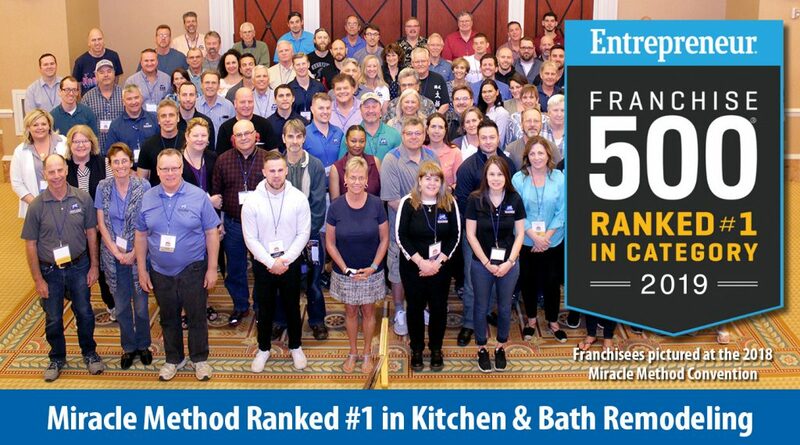 Miracle Method is the nation’s largest bathroom and kitchen surface refinishing franchise, with more than 140 locations throughout the U.S. Founded in 1979, Miracle Method specializes in bathtub, ceramic tile, and countertop refinishing and strives to constantly improve their areas of expertise. Miracle Method’s franchise owners all live in the markets they serve and pride themselves on being independent, local small business owners building outstanding reputations in their communities. For more information about Miracle Method, visit www.miraclemethod.com or call 888-271-7690.